I hope you’ve all had a lovely Easter weekend! 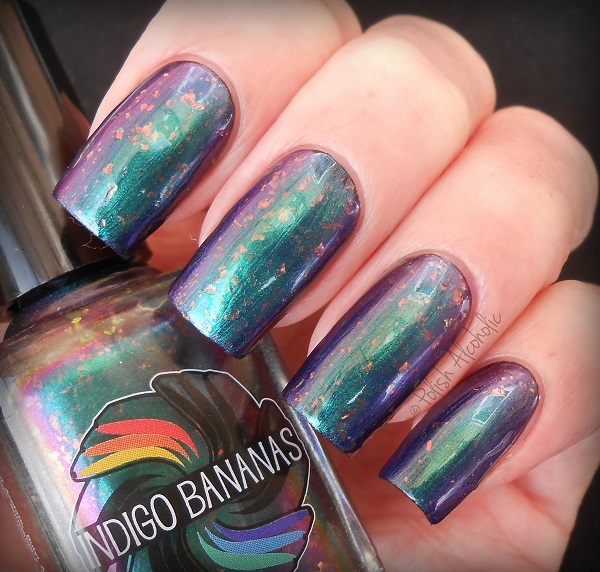 Today I have another stunning polish from Indigo Bananas to show you. Meet Viridescens: Look at that awesome flakies! 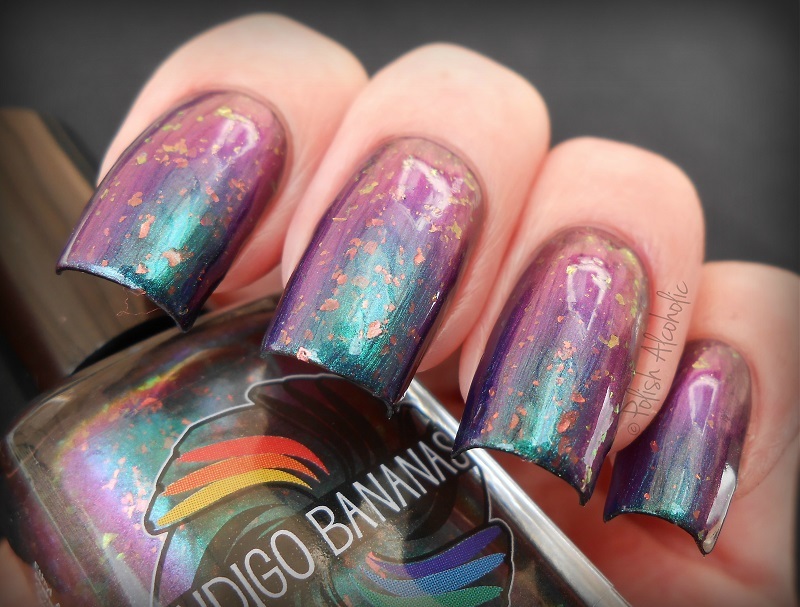 Flakies in a multi chrome base? Yes! This is one coat of Viridescens over black undies topped with top coat. This polish has a lovely pigmentation and the flakies spread out even and nicely. What do you think of this one? 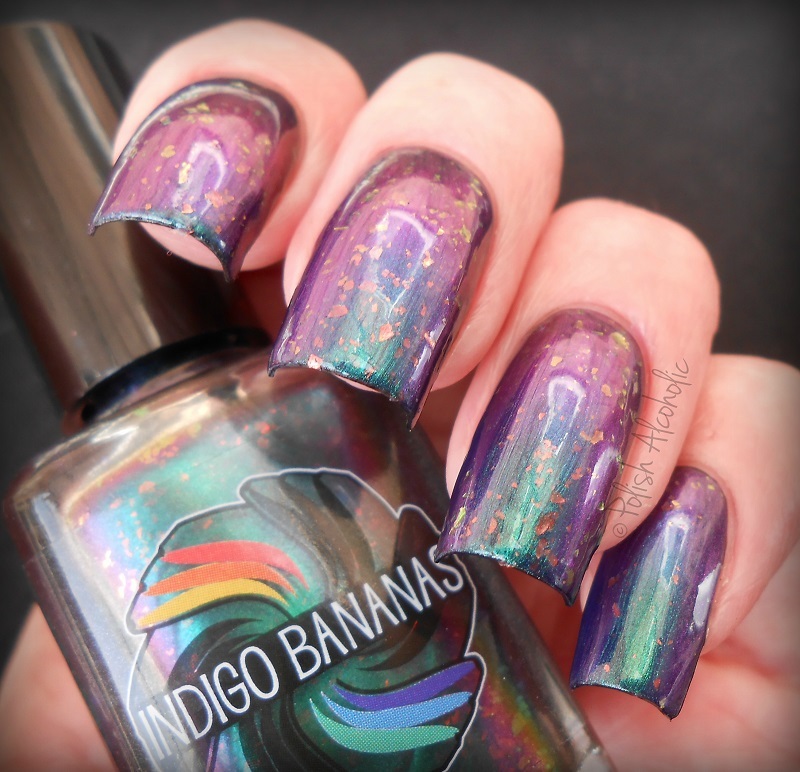 This entry was posted in Indie and tagged flakies, indie nail polish, indie polish, indigo bananas, indigo bananas viridescens, multi chrome, multichrome, review, swatch, swatches, viridescens by Polish Alcoholic. Bookmark the permalink.